Maruti Suzuki has showcased the Ignis Concept at the 2016 Auto Expo in Delhi. 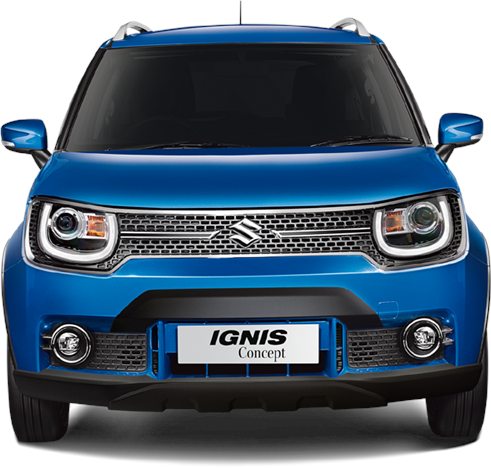 The Ignis, unveiled internationally at the Tokyo motor show 2015, sports a large grille with encapsulated headlights, a clamshell bonnet with vents on the side as on the Vitara, and blacked-out A- and B-pillars. The wheel arches are flared, and the car rides on 18-inch 10-spoke alloy wheels. It gets projector headlamps and some versions get LED units as seen on the concept. The car also gets faux three-slat vents on the thick C-pillar as seen on the concept; they hark back to rear-engined Suzukis of the past like the Suzuki Cervo of the '70s. And while the nose looks modern, the rear is retro, both in the shape of the sloping hatch as well as the shape of the tail-lights that remind us of the original Maruti 800. 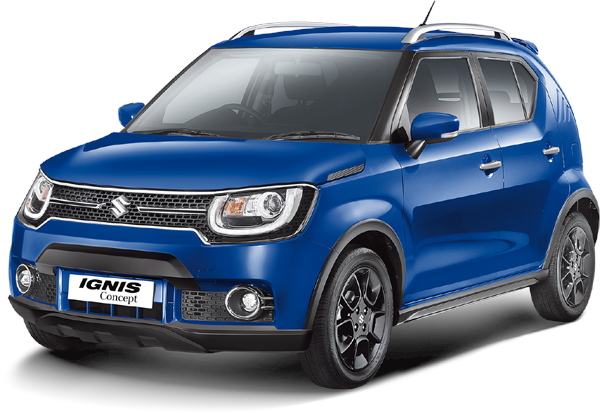 In international markets, the Ignis is powered by Suzuki’s 1.25-litre dual-jet petrol engine paired with the company’s SHVS mild-hybrid technology and an optional all-wheel-drive system. However, when it reaches our shores, the model is likely to use a 1.2-litre K12 petrol motor and a 1.3-litre diesel engine.